Bob. 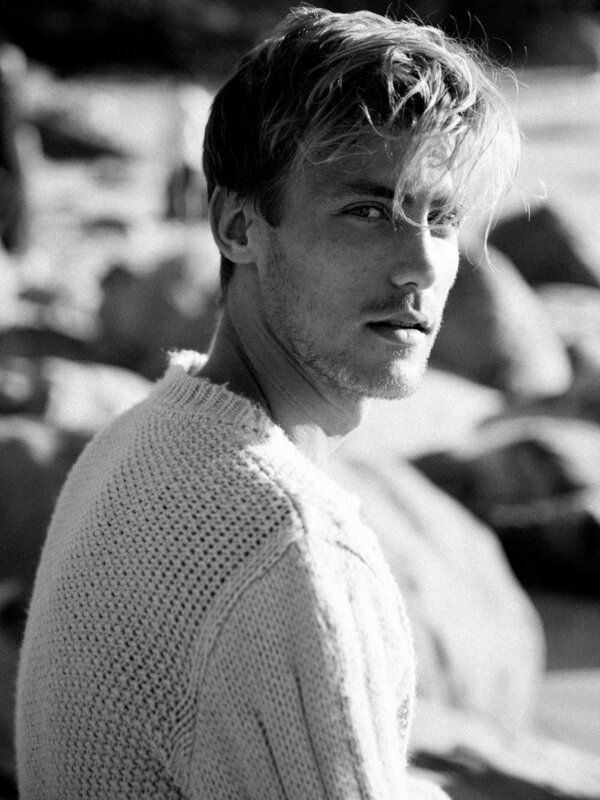 Portraits on beach. — |tim| gerges. photographer. Summer is pretty much over in Cape Town. There are still a few warm days left, but for the most part, the chills are rolling in. Hopefully the rain will come too. Towards the end of summer I was contacted by Boss Models to shoot an editorial for Models In Cape Town, a Dutch reality TV show following the lives of a group of models as they travel to Cape Town for season. I was fortunate to shoot Bob. You wont be able to tell, but this was one of the shoots where things weren’t going to well behind the scenes. 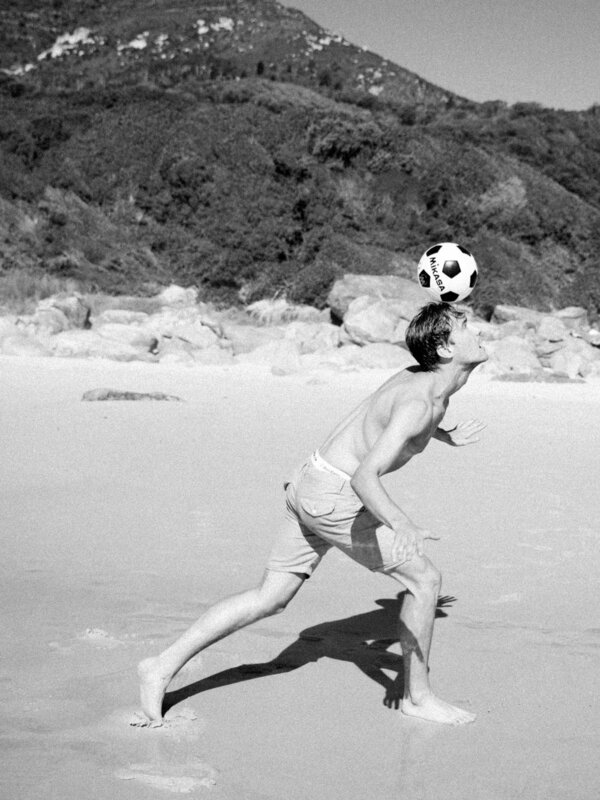 We started the shoot with some life style shots of Bob haning out on the beach messing around with a soccer ball, but about half way through the shoot, things took a turn for the worse. We were doing a shot where Bob was wrapping the beach towel around his neck, but as he did this, he somehow managed to dislocate his shoulder. Being a photographer, and pretty much not good at much else, there was no way for me to assist him. There were no life guards on the beach at the time, so we rushed Bob to the car to take him to the hospital. Somehow in the car he managed to pop his shoulder back into place, and like a real trooper, returned to the beach to continue shooting. He was still in a great deal of pain, but missioned on like a true pro. You don’t get more reality TV than that. Don’t forget to follow me on Instagram: @timgerges, and like my page on Facebook: http://facebook.com/timgerges.photographer. Feel free to contact me through there or via email if you have any questions about this blog post, or any other work on my website.